Sometimes inspiration come from the most unlikely places. No it’s not a version of MJ’s Bille Jean video souped up for the cyber generation. It’s actually the latest and greatest in the harvesting of natural energy sources. 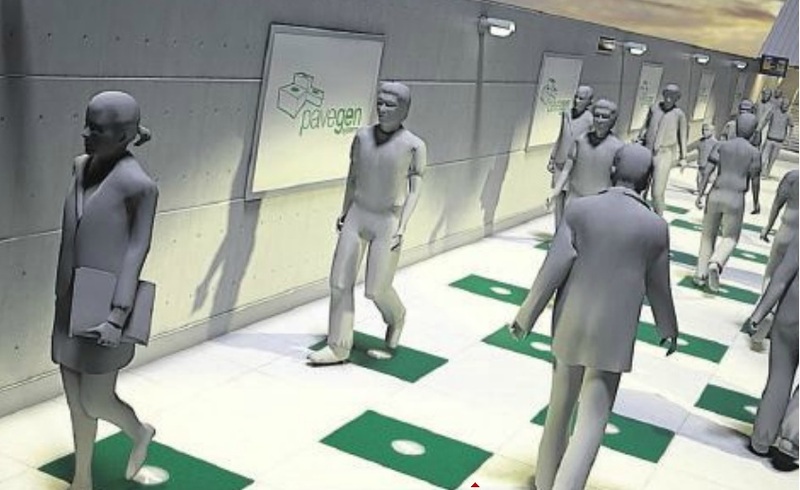 Pavegen is the brainchild of Laurence Kemball-Cook, a young British entrepreneur who has combined a recycled rubber and polymer mix with a hybrid kinetic energy-harvesting system. Stepping onto the ’tile’ generates between 5 and 8 joules of electricity – a small percentage of this is used to the light the tile while the majority is either stored in a battery or powers the surrounding area. It might sound like small potatoes but Kemball-Cook took a Pavegen dancefloor to Bestival last year where the grooves of 50,000 festival-goers charged 1,000 mobile phones. They have been installed (Pavegen that is, not the festival-goers) permanently at a school and more recently at Westfield Stratford City. It’s extraordinary and exciting stuff. Imagine…our ‘energy output’ collected and tranformed into a unique – and boundless when you think about it – source of electricity. Brings a whole new meaning to the term recycling, doesn’t it? This entry was posted in Commuting Gems, Expat moments, having my say, Inspired by and tagged environment, Metro, Pavegen, renewable energy by Kym Hamer. Bookmark the permalink. I know. Imagine if cars could be closed loop, generating as much energy as they use. Very cool! My husband and I were thinking along these lines years ago. Just wait until they can put this technology into our roads. That would be amazing!